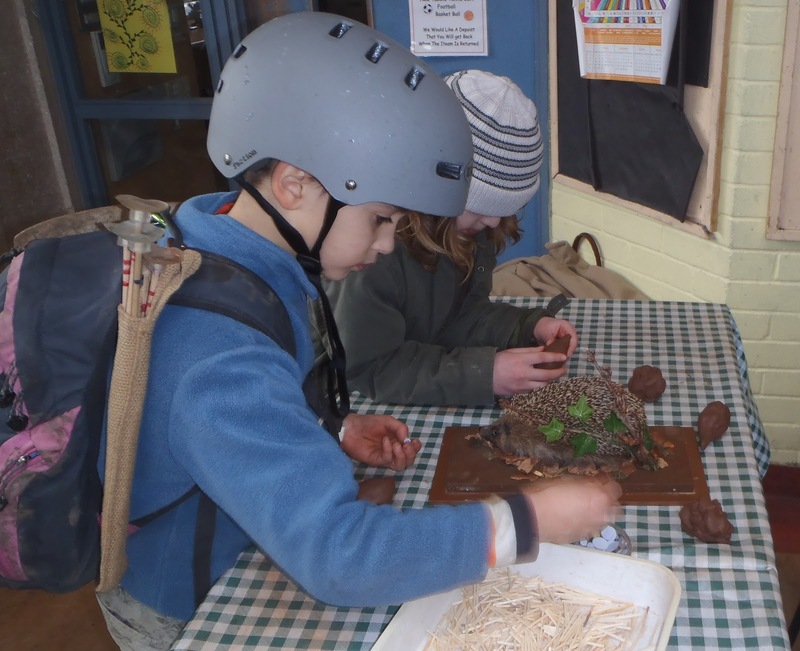 Claire and Ann had a great day at Home Education Learning Place with the home school community in Easton, delivering a hedgehog talk. What a brilliant place with great outdoor playing equipment and a lovely learning hall... with a kitchen full of chocolate brownies!!!! Anyway, back to the hedgehogs! 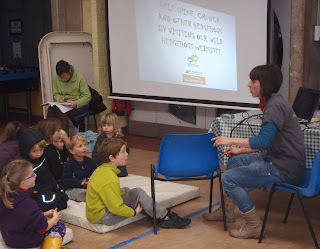 The group of about 30 children- of a range of ages- were told all about the plight of the hedgehog. Hedgehogs have declined by a quarter over the last 10 years. Claire detailed why the hedgehogs are in trouble, what makes them such fascinating creatures and what we can all do to help. 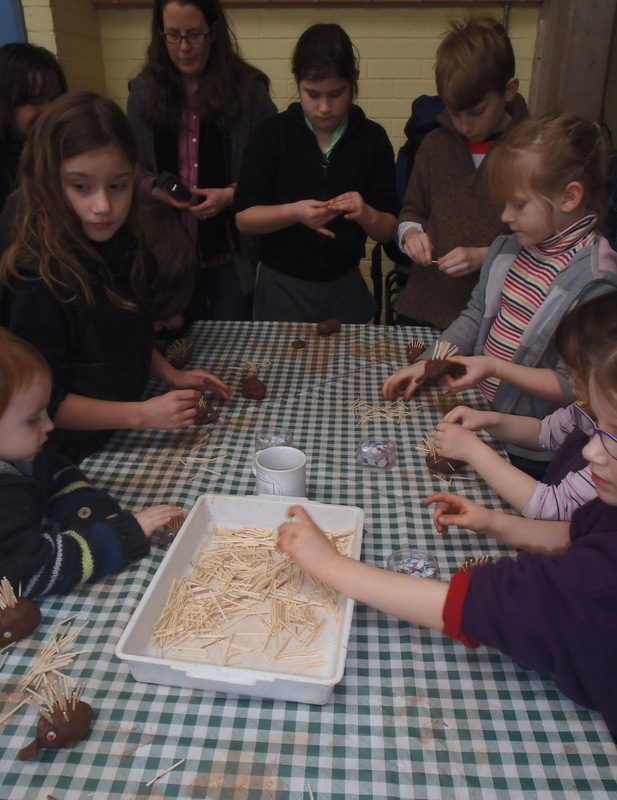 Everyone got stuck in making clay hedgehogs- there were many excellent hedgehogs- even hedgehog families were being made. The class paid careful attention to the hedgehog, its long nose used for sniffing out worms, its claws used for digging them up, its little teeth (we’ve seen a hedgehog gobble up worms in the Avon Wildlife Trust office!) its small tail, long back legs and 6000 spikes, a useful defence mechanism! 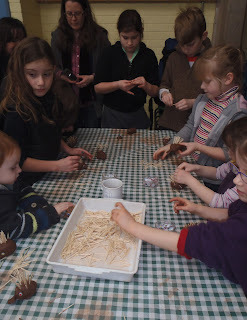 There were also super Hedgehog names for their creations, including Hedgeward, Hedge, Snuffles, Tricky, Spike and Hugo. Ann then told a story all about the perils of being a hedgehog called ‘ The Adventures of Spike the Hedgehog’ to which the group provided sound effects. Our visit has even raised money for the Avon Wildlife Trust. So thank you to everyone who made a donation! If you would like information on how to make your garden hedgehog friendly then please visit our wild hedgehogs site click here. Also, be sure to record any hedgehog sightings in our on line survey too! Click here. Kids go wild at Folly Farm!